I’m not one who follows tradition, but when it comes to Chinese New Year, there are some things I will practice. Like not sweeping the floor on the first day of Chinese New Year and being careful so I don’t break anything. Another customary thing I do during Chinese New Year is having dinner and lou sang with my family. 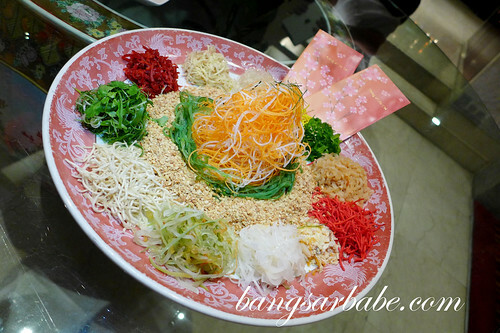 To celebrate the year of the snake, Toh Yuen at Hilton Petaling Jaya offers a wide range of yee sang and set menus from 21st January to 24th February 2013. I sampled Toh Yuen’s Prosperity Set (RM1,688++ per table of 10) along with a group of media and bloggers. The Deluxe Salmon and Seaweed with Mixed Fruits Yee Sang was quite nice. 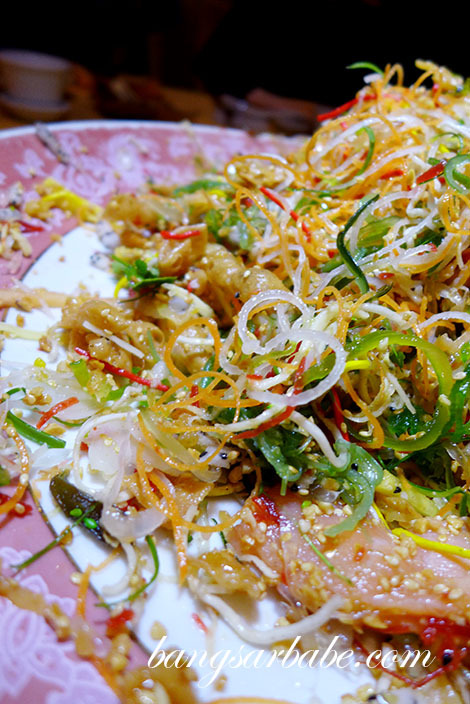 I liked how the fruits added a sweet touch to the overall flavour of the yee sang. 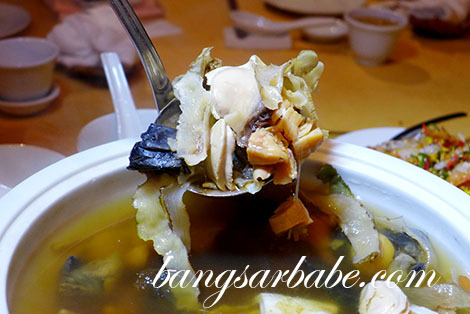 The Braised Baby Abalone with Dried Seafood Soup was tummy warming. After a long day at work, I found solace in this bowl of soup. 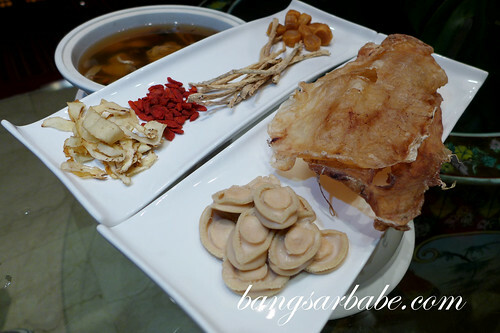 It came laden with dried scallops, abalone, fish maw, herbs and black chicken. 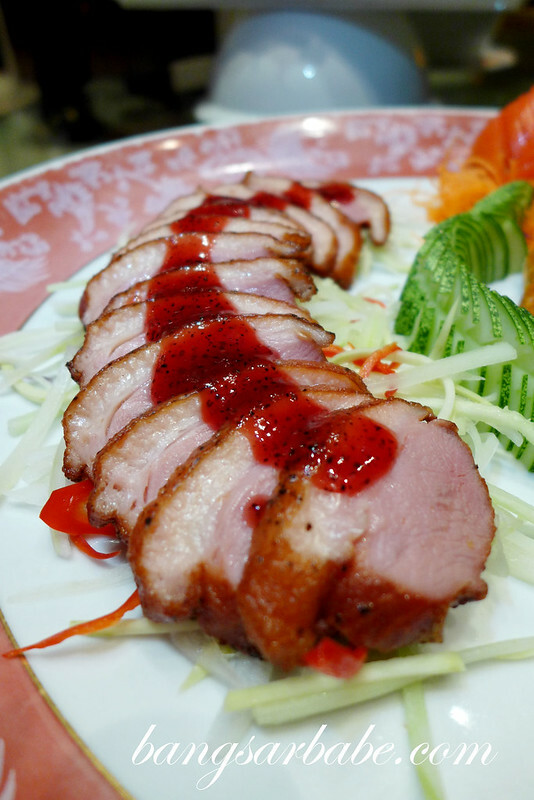 I’ve eaten the smoked duck with fruit sauce at Toh Yuen before, and enjoyed it very much. 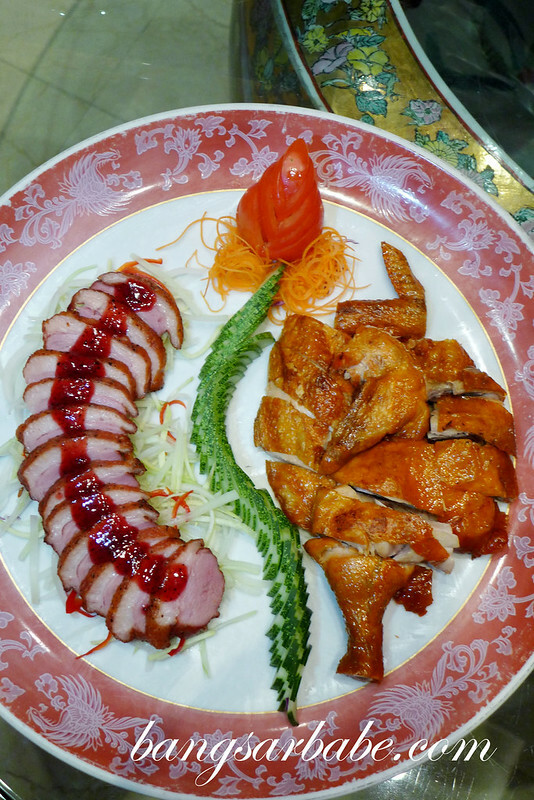 This time around, Toh Yuen served a similar smoked duck with roast chicken and vegetable crackers. The duck was as good as I remembered it to be, and the roast chicken was crisp and tasty within. 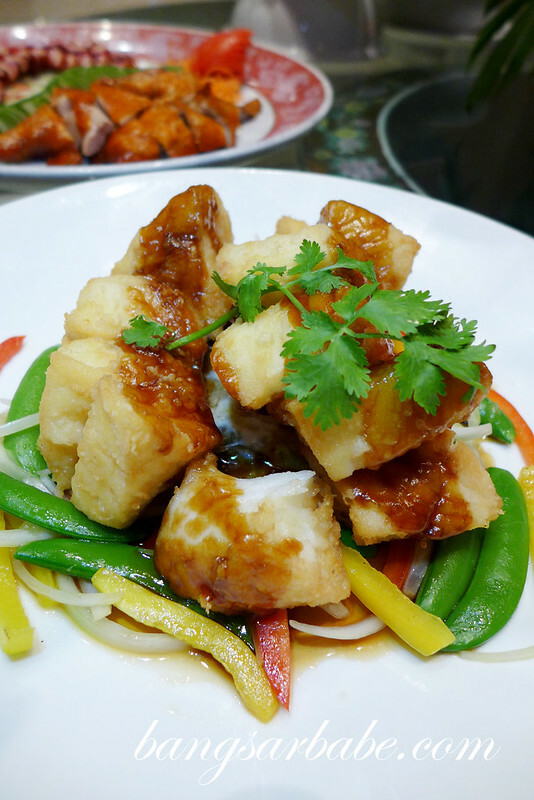 My favourite dish that night was the Deep Fried Canadian Cod with Honey Sauce; an interesting alternative to steamed cod and very tasty. 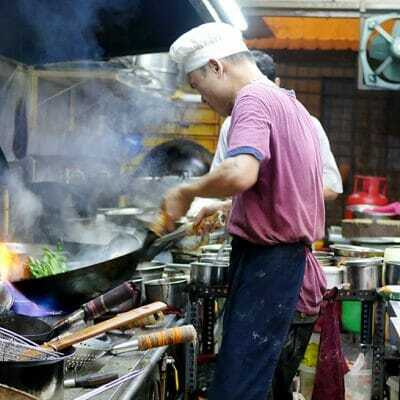 The batter was light and remained crispy, even after the fish was topped with sauce. I found the sauce justly sweet and it complemented the cod beautifully. 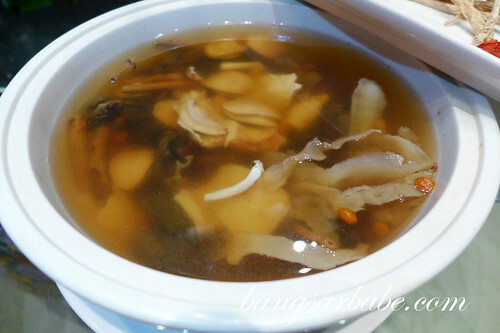 I also enjoyed the Braised Sea Cucumber with Mixed Mushrooms and Sun-dried Scallops. 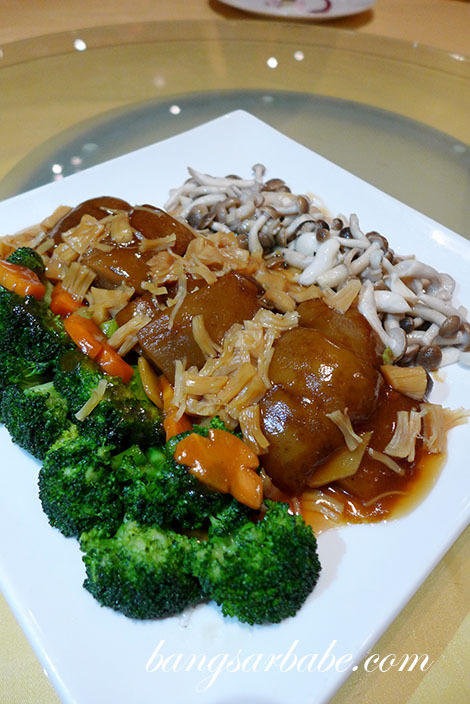 The sea cucumber was perfectly tender and the sun-dried scallop sauce gave this dish a rich flavour. The broccoli was also lightly cooked, resulting in its still crunchy texture. I’m very lazy when it comes to peeling prawns, so the Sauteed Fresh Sea Prawns with Wasabi Mayo and “Sakura Denbu” was easy to eat. 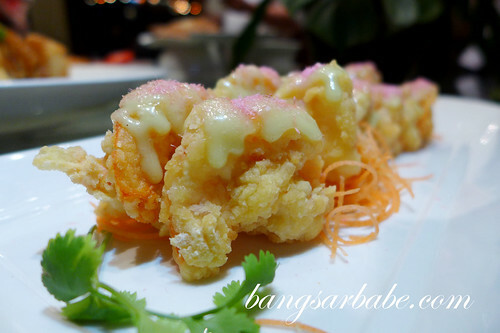 The prawns were deep fried till golden brown and crispy, and topped with mayo. That said, I would have liked more mayonnaise and I love wasabi mayo. 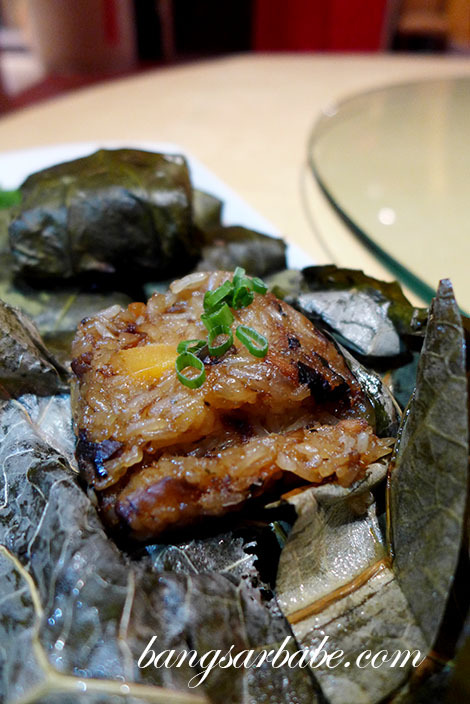 Steamed Glutinous Rice with Sun-fried Oysters, Salted Egg Yolk and Chicken Paste had a good balance of flavours and textures. The rice wasn’t overly sticky and the bits of salted egg yolk were lovely to bite into. Dessert was the Deep Fried Nian Gao with Yam and Hilton Ice Cream Cake. 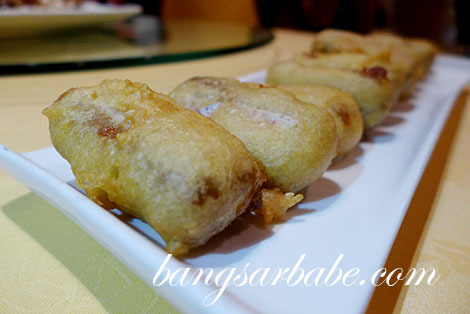 Between the two, I liked the nian gao better – it was crunchy on the outside with a gooey-fluffy centre. I didn’t care much for the cake. 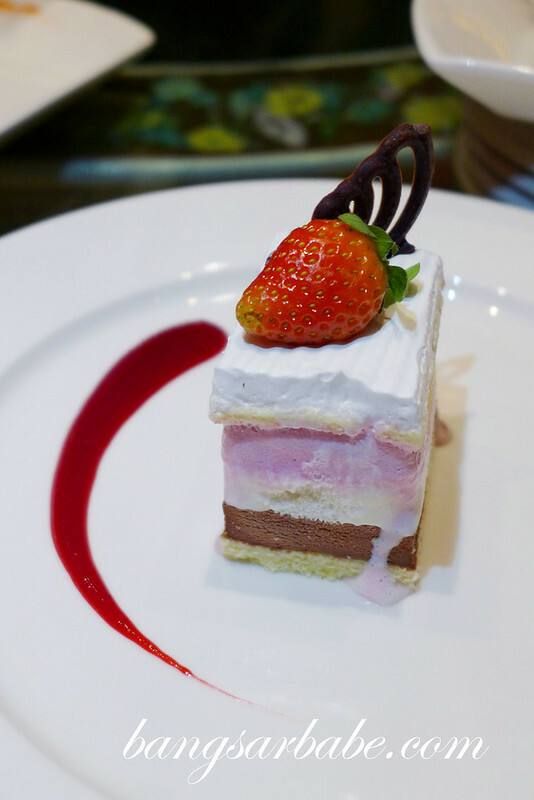 While it was good ice cream cake, I prefer having Chinese desserts in a Chinese restaurant. This Chinese New Year, Toh Yuen offers the Fortune Menu, Happiness Menu, Longevity Menu and Propensity Menu, priced at RM988++, RM1188++, RM1388 and RM1688++ respectively for each table of 10 pax. Verdict: Overall, I enjoyed the set dinner above. 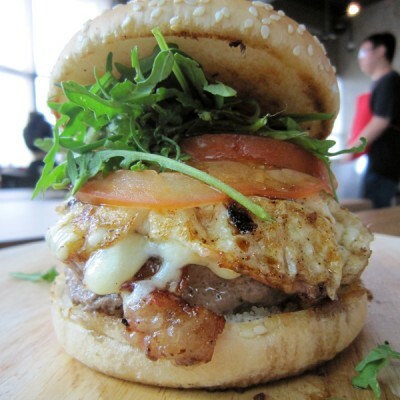 The dishes were well executed and presentation was commendable.